For fun, FAB Girls with a flair for the dramatic. Look for it here. This Dave and Johnny dress is reasonably priced at $170.00. 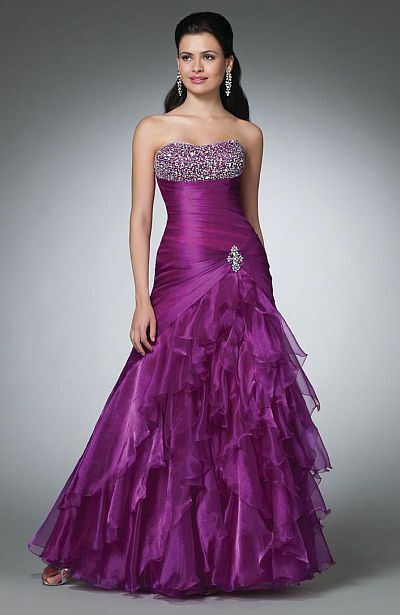 If you want something longer, this purple Alfred Angelo number with exquisite detailing might be right for you.